Reaction following an Ireland win is fascinatingly different to that which might have prevailed should England have secured this, or any other, #6nations, is it not? People all over the place seem pleased, for starters. I’m sensing a good-natured rolling up of sleeves or a philosophical ‘roly’ under the stars for most neutrals, as folks from Ballymena or Clonakilty march purposefully past into the pub. Most would recognise, however, the scope for either discord or hopefully debate around the concept ‘win’ when (as happened here) another protagonist has bitten at the arse of the victorious by er… beating them. So did the best team land the trophy? Were champions Ireland sufficiently good at Twickenham to score a moral victory too? Is that the or any kindofa question? And does that question matter? I think it does: it is, after all, the stuff we’ll be talking about. Half the fun of course is in the denial of (the undeniable truth of) that table, at the head of which now sits Joe Schmidt’s charges. And clearly allegation or conversational hare number one might be that because England beat them, Ireland are not the best team. Knowing we can’t measure any of this stuff I’d still like to do some sizing up; how ’bout you? Look having no aspiration for journalism, I have neglected to check how often it is that the annual Northern rugby shindig is won by teams who got beat along the way and who are therefore susceptible to this judgement of wider values. Maybe that doesn’t matter either. The argument we are about to have is absolutely about the sweaty/swervacious/intuitive/finger-in-the-wind sense of it all – because that’s a) fun and b) human nature. So were Ireland or England better? And/or who deserved it more, this 2014 Six Nations Trophy? As the road and the evening rises, I suspect my friends Danny, Sean and Brian in County Donegal, may, in the purity of their ecstasy, be breaking out treasured hooch of the Very Special Occasions Only variety, and I in no way want to subvert that glorious ritual. (Oh and by the way – no driving Brian!) However, they too will be distantly aware (probably) of issues of legitimacy/quality and kindof… honour. Because fans love to win with style, with class – yes and deservedly. Which legitimises my line of enquiry, I think; I’m in the metaphorical round and buying my share, I promise. The coincidence of St Patrick’s weekend, O’Driscoll’s retirement and a #6nations trophy pretty much compels all of Ireland towards a big night out and I wish to god I was in Letterkenny to share in that. But instead I will ask of that European pool of generosity the following question… again. At Twickenham, was the confidence and control (even) that Ireland showed for periods of that match sufficiently impressive to cancel out the win (with home advantage) for Lancaster’s hugely improving side. Or does the view that England have blossomed to such an extent that even Welshmen might now confess to finding them good to watch hold sway on this? Tough call. There were times in the England-Ireland fixture when I thought the Irish might cruise to a quietly magnificent away win. They recycled and blocked with such confidence that I was purring ’bout the brilliance of Schmidt – guesswork of a sort, inevitably – but I’m still happy enough to throw in the idea here that the Ireland gaffer may have been star of the tournament. Good sides – well coached sides, sides inspired by their coaches have purpose about what they do. And Ireland epitomised that, certainly for periods of the first half. But the fact is… then they lost. There was something of that about Ireland again today, I thought. Once they got a hold of the ball, they went effortlessly through the phases and two tries came critically early; they looked like a team that believed. If Sexton had slotted two relatively simple kicks, they may have sustained a lead and utterly snuffed out any French response – after twenty-something minutes, that’s the way it looked. France, perhaps inevitably, given the pasting they have taken from most of us, rose to their full height – or in Basteraud’s case bulk – and responded. The game became scrappy and tense rather than brilliant but this was more because the French aren’t good enough to do brilliant than anything else, I thought. Ireland struck again early in the second period and held on. England smashed Italy with some style and this is the point. If you were an alien with some mysterious understanding of ball games but no pro-celtic baggage, you might be raising a green sucker or two in approval at the transformation of Lancaster’s mob from dour to something close to devastating. If nothing else that culture shift towards dynamic and open play deserves universal – or extra-terrestrial? – approval. In Brown and Farrell… and possibly Burrell and Launchbury and Lawes, they had players who might reasonably be nominated Player of the Tournament in some poll or other. England were often good and sometimes alarmingly watchable, both against Italy and in the Six Nations generally. It may be that only the intensity of the ‘rivalry’ between the warring parties keeps Wales in with a shout against their World Cup 2015 opponents on current form, such is the great leap forward from Lancaster’s men. They surely ran the ball back more freely – more liberally even – than anyone else. The nature of their intent was sharply different to previous England sides, the coaching staff clearly now having committed to an all-court game demanding pace and invention as well as balls-out defending. Good on them for that; they are both right and righteous, methinks. Whole lot of sentiment here, then. Weighing up in the abstract the feel of a title run-in. Doing that all over, I guess. Ireland won though and their outside centre will understandably garner what I will foolishly call the Lions share of media coverage subsequent to that victory. O’Driscoll for me has had a flawed championships; he made errors against the French as well as the fairly occasional sharp intervention – chiefly that trademark low-slung burst and absurdly casual switch, eyes fixed everywhere but where the ball’s fizzing or popping. The man’s a genius alright, for his brutal combination of rapidity and control – and for his savvy. But his specialness is surely a cumulative phenomenon? Year after year of explosive burst and soft hands, violent challenge and then god-given, frame-freezing awareness. He, certainly, is a deserving champion. @Jiffyrugby doesn’t get much wrong, yaknow. And he may have it about right when he says the definitive question of this tournament is the one England will surely be asking themselves – “How did we not win in France?” Well… they didn’t. And Ireland? Ireland did. Ireland loves Gatland – as Capello! Dublin. Where Wales were dumbfounded – as indeed were most of us – by the utter control exerted by the Irish. Indeed so shocked were the dragons management in my view that they forgot themselves, much as the gobsmacked-in-a-very-bad-way Capello had done for England in a recent (footie) World Cup. They forgot they had to do something – send on subs. (Hook/Tipuric!) This had nothing whatsoever to do with #BODgate… and everything to do with freezing whilst getting simply battered. Didn’t see that coming. Hats off to the Irish. Totally dominant. Agreed; in every respect. But how? Yes we’re aware of this suggestion that Wales may have just the one way of playing and are therefore susceptible to being ‘found out’ (though I’ve never really accepted this.) Yes there was a whole lot of emotion, a whole lot riding on this one, with most of it pointing to positive inflammation of Schmidt’s Green Army. And yes Ireland got off to a flying start last week. But surely a tight and tense and fulsomely impassioned affair would ensue? Full of fire and endless demonstrations from all sides of the phenomenon rugbyfolks simply call ‘dog’? But no – well certainly not from the Welsh – only the Irish howled. Wales were numbed, muzzled and blunted in everything they did, from almost the first moment to the desperate last. Perhaps it’s ungenerous to put it this way – as though denying the Irish some rewarding chunk of their triumph. However I do so because it strikes me that the utter absence of Wales from this match was more remarkable than anything. From the reds there was no penetration, no threat, barely any phases, in truth, despite the gallumping nature of their backs. But worse, perhaps, there was no sense that any of these things were likely. The 26-3 score-line in no way flattered the home side. Ireland meanwhile were superbly organised and composed. Sexton was close to immaculate with his control, through tactical hoofing and through his mixture; he absolutely built the framework for his side and this, consistently, together with outstanding blanket defence eased – and I do mean eased – his side to a straightforward win. In the first half Trimble was darting bravely and covering or slamming into contacts, O’Driscoll was steady and safe rather than hugely notable but around the breakdown O’Mahony in particular was a giant. Wales panicked and infringed and hurried things or lost the ball before they could execute their own hurrying. With O’Connell predictably battering and Irish hands on the ball almost obscenely quickly, Welsh possession never felt secured. Ireland’s did. Without blasting open the Welsh lines they emphatically held their own. Typically Sexton put them somewhere that felt good and then they asked those questions of the Welsh attack. Sharpish enquiries that Priestland never looked able to respond to. Two final things. Gatland’s back row is very very good at snaffling athletically and with purpose around the breakdown. Today, the dominance of the Irish in this area – Warburton’s specialist subject – was both most striking and decisive. With barely believable constancy that much-vaunted back row of Wales was marmalised. Penalties came and were largely gratefully accepted by Sexton. Secondly, there was the lack of response from Wales. Priestland is not either brilliant or raw gutsy enough to single-handedly gather in a real game. Phillips is looking close to his natural end. Combine this with the failure of Gatland and his backroom staff to act – by (probably) sending Hook and Tipuric on at the 50 minute mark – and well… you might find yourself in the same place as Capello. Somewhere faintly embarrassing. In Edinburgh England strolled to a win against a Scotland side barely deserving, on this form, of a #6nations berth. Though the pitch and the weather were awful – both conspiring to drastically reduce the odds on a free-flowing display from the visitors – a rout seemed on after about five minutes. Vunipola B again looked ridiculously comfortable as he legged it unopposed through the mud, sharing the egg casually pre-tackle. Burrell again emphasised the power and explosiveness of his running – scoring a fine try in the process. Even the previously disappointing Twelvetrees broke confidently and played with oxygenating freedom. Farrell kicked poorly but still ran the game with something of a smirk. Lancaster will on the one hand be delighted at a victory without conceding a point and on the other be exasperated his team somehow conspired to avoid the seven or eight tries that were surely available. But England do look like they have a certain invention about them now, what with Brown and May and Burrell all looking un-Englishly, ‘naturally’, expansively brisk. Scotland though, are gone. Simply not competing at the same level. Their game against Italy seems their only hope of validation, never mind meaningful points on the board. Too early in this Calcutta Cup Laidlaw had missed two kickable penalties and you knew Scotland simply could not afford that waste. The problems seem frighteningly universal, leaving Scott Johnson an unenviable task; it seems the best he can hope for is to sit out the storm and try to keep chins up. Whether he has made this more difficult through the summary dispatch of former skipper Kelly Brown, who knows? If there are egos at work in his camp as well as issues with available talent, the man’s in awful … deep… shite. On a lighter note Brian Moore’s continuing support of a certain shall-we-say de-spiritualized *religious icon continues apace. I would have bought him a pint – and necked one – if he’d have slotted the phrase ‘Is this a dugout which I see before me’ into commentary. Aah well, time yet. * For the uninitiated – possibly literally – @WelshDalaiLama has a drinking game via twitter. The boy Mooro (roped in) has been gratuitously quoting Shakespeare to draw those who indulge into downing their poison. It’s a big week for England. So big it needs exposure; like some craggy castle or monkish retreat now unveiled as home to bulging but youthful talents previously hushed by authoritarian loonies. Like Capello; or Johnson; or Margaret Thatcher – Boadicea! So big because two magisterial rivals come to call, bringing again their frankly superior entourage of exotic skills. Wales and Holland; the passionate and the cool. Welsh brio again soon to be anthemically lit by amply-lunged, prop-proportioned women in red; Dutch ease fanned by a sea of orange madmen in Wember-ley. A zenith of sports-cultural counter-activity approacheth, or so it feels, as “Gwlad” rehearses itself in the dingle-dell that is the red soul of Wales and the misleadingly understated Nederlandpeeps fold their tangoesque flags. Buildup of a particularly rich, vocal and simmeringly intense quality is building up. In Wales a low appreciative hum has begun to throb as news of the return of Warburton and Wynne-Jones and Lydiate has slid ominously around. You don’t need to know the Welsh for “kop that bach” to sense the tectonically impressive confidence around the confrontation with Lancaster’s undemonstrative charges. 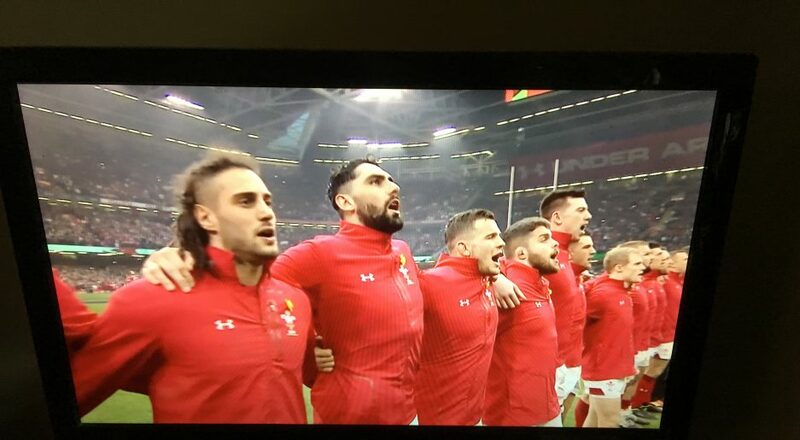 No arrogance yet, but a belief amongst the star-hung valleys that Wales rugby – with the stamp of world-wide approval – has a real current supremacy throughout these allegedly United Kingdoms. And Holland, who despite their comparatively low ebb, are expected to carouse serenely around the very emblem of ‘our patch’ like the special edition Martin Dobsons or Alan Hudsons we know them to be. Sometimes almost cruelly or arrogantly brilliant, Dutch sides have a habit of quietly handing out a lesson or twelve in the art of composure and ball retention. Admittedly this does not always end in victory but typically it does end in the revelation of inadequacy amongst their English oppo’s. Such is the potential for embarrassment against this particularly Dutch capacity to bypass traditional (anglo-saxon?) confrontation (er… by passing) that I am clear Stu Pearce’s selection of tumbling youth is made in full consciousness of the likely outcome of a ‘full-strength side’ competing. They’d get quietly outplayed, probably, as usual. Cynical? Perhaps. But the selection of a slack handful of worthy young’uns removes fears of more than one variety. In truth I expect the starting line-up for England to look… how can I put it…? Unreckless. In a squad looking frankly short of top talent – remember the Terrys’, the Ferdinands, the Lampards, for all their diverse frailties did have international quality – a 4-4-1-1 of Hart/Richards,Jones,Smalling, Cole/Milner, Parker, Gerrard, Young/Rooney/Sturridge or pretty similar might be our strongest available. Expect run-outs or more from Cleverley and Wellbeck as additional elements of youff-encouragement. The chronic shortage of goal-keeping back-up remains an issue, as do the centre-half slots and arguably the striker(s). Can we swap a right back with somebody, I wonder? New model Stuart L’s England have played like a side run along well-propounded dictums; solidly and with conservative purpose rather than inspiration. Hodgson’s absence for this weekend has – in the great tradition of Best Teams Selected By Injury – realigned an especially well balanced English back line; one that may yet prove to be exceptional. Half-backs Dickson and Farrell; centres Barritt and Tuilagi; wings Strettle and Ashton; Foden at full back. This is a good lineup. It has composure in defence and power and the possibility for electrification going forward. What it lacks, relatively, is of course experience (and tries?) placing a huge burden upon young Farrell at pivot. But Farrell seems very much the unflappable type – possibly even culturally so, given his lineage. Whether a close-quarters encounter with Sam Warburton’s ludicrously enhanced biceps might change this impression is hard to predict… but Owen does seem unflappable. He gathers, he kicks. He plays within himself and almost certainly within the (arguably fairly limited?) game plan. Given that England are not likely to stray too ambitiously from a containing/territorial game against the gifted Welsh the likelihood may be that a tightish affair ensures; unless somewhere a dam breaks. On the colourifically-aspirational side for the whites, the selection of Tuilagi amplifies hopes for some liberation from repeatedly prompt felling of English attackers at the gainline. This boy can run. And the way he runs suggests a love of that simple pleasure – cradling the ball whilst sinuously, boy-in-the-parkfully rampaging up the pitch. Indeed the battle of the centres in this match (both Roberts and the now fully-emerged Davies surely Lions-in-waiting in every sense?) could be either (oh go on, take those liberties!) swervaciously or, more prosaically crunchingly magnificent. It really could be wonderful – would that England come out and play! They probably won’t. Certainly not early on. Surely? Even if the quadruple-bluff of an immediate Barbarian-style English onslaught has fabulous appeal, surely they won’t. Coaching thoroughbred that he is, Lancaster will have them ear-twitchingly prepared; nose-bagged up; with a freshly-pressed but learned-by-rote game plan. The skipper will lead his men nobly. Morgan and Dickson will be ready. Foden will have the occasional foray. But the occasion will demand foremost that the dam not be breached. And anything further… becomes a bonus, an opportunity, as Lancaster might say, upon which we must capitalise. Blandishments aboundeth? I’m personally fed up with the word ‘mentality’ tripping so pretentiously/unpretentiously from the rehearsed mouthings of the England camp. So much that I’m going to use it and leg it past, sharpish – treat it like the stink-bomb it is. The quality of this match will depend far too much I’m afraid on the mentality of the men in white. They have it in their hands to deliver us something sensational but the reality is likely to be ordinary. Previously I have waxed – and then some – on the profound successes of the Welsh. If they do, as I think they may, go to Twickenham and again demonstrate the kind of fearless yet focused rugby fizzing with the simple joys then they will march on with the support of the morally-enhanced majority. A classic ding-dong confrontation, in which a rejuvenated England play a full part until Welsh brilliance finally denies them, is surely the ideal scenario – even England fans might appreciate that? Eventually. My contribution to this aforementioned (sporting) debate is reasonably well-informed, because I know and live and love sport- for its daft majesty, its laughable life-or-deathness, its ludicrous capacity to bewitch; I love sport. And I meander through this NOW because following the beginning of my own new season of coaching yesterday, those perennial markers begin to spring or flicker once more. Boy A (8) times and middles a straight drive in a ‘knockabout game’ to eye-moistening perfection. Girl B (9) takes an absurdly good catch, substantially after the ball’s flown past. OOFF!! That… is brillee-yunt. Beautifully, life-affirmingly brilliant. Speaking personally, these quietly defining moments, that give us such an opportunity to enthuse and support, are both a delight and an inspiration. All the more so because the inspiration – the dripfeed of mini-triumphs – reccurs. The transferability or contextualisation or rating of these gemlike examples of skills is the business of the coach. Somewhere we need to be weighing them as well as filing them away for reference. In my own, current case this is particularly fascinating and even demanding because this is the first time I have seen most of the wee talents gallivanting before me. Ultimately though – after much entertainment and encouragement – a team has to be picked. At every level, this is both an endpoint and the new beginning for continual reassessment; for when matches begin so does that frisson around pressure; who can live off that adrenalin, who might crumple? At every level pressure exists… and counts, bringing us back into this precious kaleidoscope where skill level and belief and confidence are shifted around. The coach has to predict who is most likely to thrive under the vagaries of the moment, the opposition, the conditions, the various overlapping psychologies. Knowing who to choose for what is a fascinating and a fraught enterprise- and a hugely revealing one. No wonder we’re all doing it… picking our teams. A brief scan of current sporting scenarios of various sorts throws up a couple of what Sue Barker is probably calling Sporting Conundrums. They both present rich territory for the coach or the fan to sink deep in the quicksand of the Decision-making Process. Enter on the one hand Martin O’Neil – recently appointed Manager of Sunderland AFC – and on the other, more muscled wing Stuart Lancaster, the new Head Coach of England Rugby. The point about O’Neil is that he is by common appreciation one of the great motivators around and is therefore a focus no doubt for study/gobsmacked hagiography around the matter – the reality – of his ability to coach. In a matter of weeks he has utterly transformed the nature of his club, from that of a (self-? )defensive also-ran with little, brittle or no confidence to one broiling with ambition, fight and the type of lungbursting commitment unthinkable three months ago. But am I right in thinking that even those close to the team itself talk unspecifically of MO’s general gift for enthusing and generating belief rather than any revolutionary tactical nous? So what is it, exactly, that is succeeding so well here? Clearly O’Neil’s sides do have a particular shape and energy; they also characteristically have a robust team ethic rather than say… a galactico-led swagger. But what seems to be key is simply a faith in the boss and a willingness to give freely to the cause. Players buy in to a refreshing and often inspiring O’Neil picture of how things might be. An infectious mixture of positivity and generous, not to say near unbeatable work-rate appears to be remarkably swiftly engineered in a fashion which seems mysterious, yet is surely ‘only’ the result of great management of individuals (as individuals) and outstandingly peppy pep-talking. Individually and collectively, those Sunderland players will now run through fire for O’Neil and for the club; suddenly, they believe. We’d have to have the privilege of being absolutely (as Martin might say) on the inside to get further than this fans-eye appreciation of what O’Neil actually does. But it’s clear to all of us, is it not, that he’s got something special working for him? Maybe something particularly attractive because it feels like it’s to do with a kind of honesty? Stuart Lancaster has certain things in common with Martin O’Neil. He’s a bloke; he’s articulate. But the style of motivation is surely less hands-on in his case, or, my suspicion is, less heart-on-sleeve; making it different in its non-personal or less personal nature. I am currently fascinated by choices Lancaster has to make; choices of the sort we all make whether as coaches at local level or as armchair punters berating our alleged superiors in sport. The England boss has sounded rather bland to me; now Lancaster the man has to emerge, has to decide for example whether or not to change a winning side now that key(?) talents have become available to him; Courtenay Lawes, Manu Tuilagi and Toby Flood. This is a juicy one, a defining moment in my view, for off the top of my head I can think of the following live issues around selecting these guys and/or dropping their colleagues. Hodgson has done reasonably well and scored two tries from chargedowns! Mere starters in the racing jumble of factors the England Coach must rate and then relate to those quivering hearts in the dressing-room. Who goes? On what basis? We know that these days all things are tracked and measured – from tackle counts to yardage gained. But where does intuition kick in, if ever? How do you measure the balance of a team – the way personalities as well as gifts complement or undermine success? What, even, is success? Playing wonderfully at your limits or in some dirge-like state of control? Does Lancaster really want to liberate his team, or does he want to win? Does this coach view those concepts as mutually exclusive?